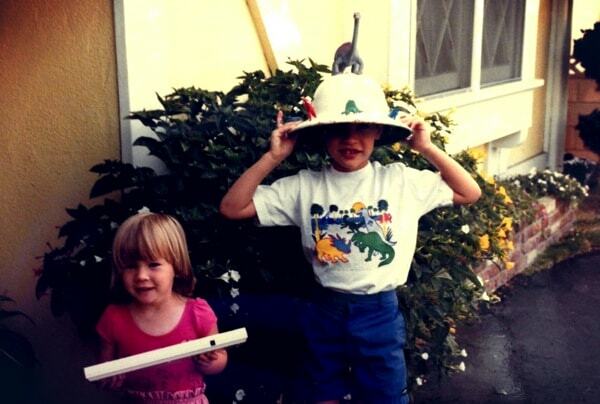 That’s me in kindergarten wearing a safari hat decorated with plastic dinosaurs along with a dinosaur t-shirt. In my childhood, I could not know enough about dinosaurs. I devoured my dinosaur encyclopedia. I taped all dinosaur shows I could find. I debated with other 6-year-olds over incorrect classifications (no, Dimetrodon was not a dinosaur, Neil). I read every dinosaur book at the library. It’s odd to think about a kid becoming “overexcited” by an idea. Yet, if Wikipedia had been within my grasp as a child, I could easily imagine myself spinning out of control, simply overwhelmed by information. You’ve probably already visualized several students who were obsessed with an idea. In the classroom, a great tool for kids with this overexcitability is the independent study: a chance to dig deeply into an area of passion when other assignments are complete. It gives them an outlet for their preoccupation, and gives you a chance to funnel that energy towards a paper, presentation, or other project. And when that student’s endless love for a topic begins to get on your nerves, remember that many of the inventions, novels, albums, and other creations that you enjoy might have been the result of just such an obsession.